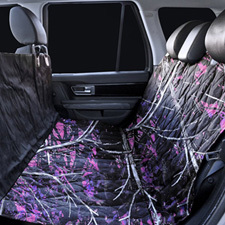 Northwest launched Universal Form-Fit™ Seat Covers to provide all-purpose protection for cars, trucks, SUVs and vans. They say, a picture’s worth 1000 words, but we were left speechless. 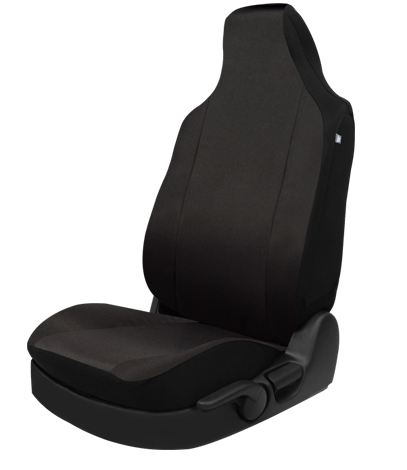 Universal Form-Fit™ Seat Covers sold as a pair with 2 backrests and 2 cushions. 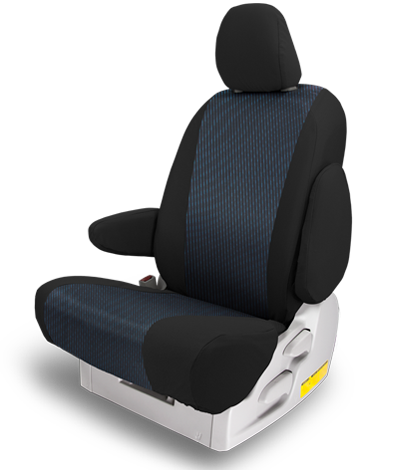 Seats with armrests and integrated seat belts are not available with Universal Form-Fit™. 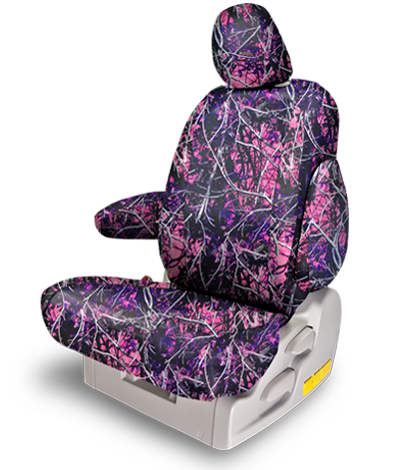 Only bucket seats and 40/20/40* configurations are available with Universal Form-Fit™. * On 40/20/40 configurations, the middle 20 section is only available separately. Please contact us at 1-888-821-1066 or [email protected] for pricing. 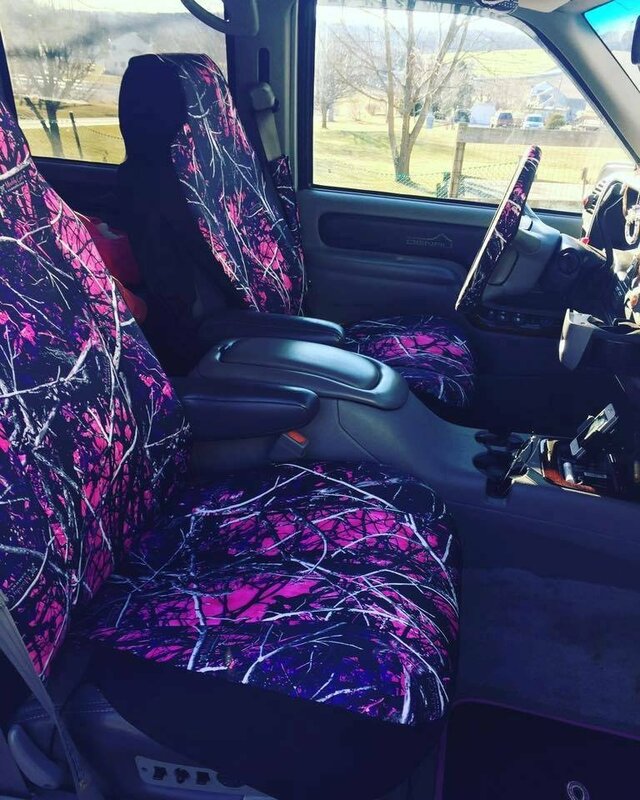 That was when we decided to redefine how Semi-Custom seat covers should fit on vehicles. We spent about 18 months designing, documenting, testing and refining the Universal Form-Fit™ seat cover. It had to fit a variety of different shapes and sizes while being easy to install and still accommodate side impact airbags (SIAB). Some of those test vehicles included the Ford F150, Chevy Silverado, GMC Sierra, Dodge Ram Truck, Toyota Tacoma and Tundra, Nissan Frontier and Titan, along with the Camry, Corolla, Civic, Accord, Nissan Altima, Rogue, CR-V, RAV-4, Escape, Elantra and a long list of others. 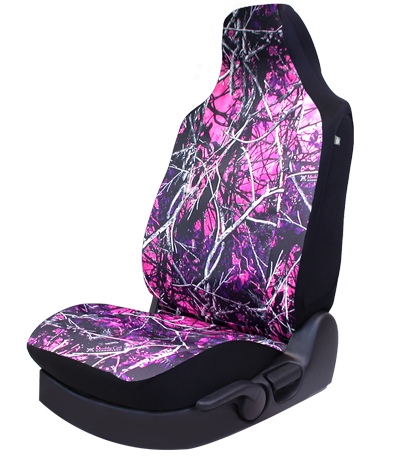 Universal Form-Fit™ seat covers fit most bucket seats in cars, trucks and SUVs from the early 1990s to current model year vehicles. 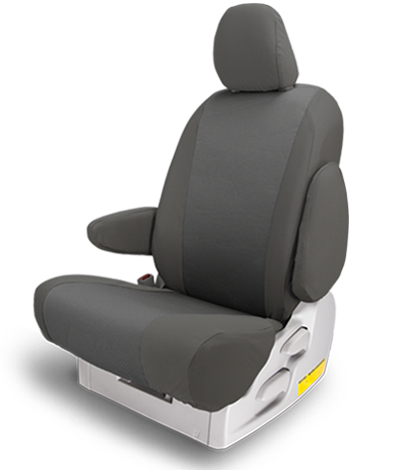 Designed as a 2-piece unit with a separate cover for the backrests as well as seat cushions, they also fit the bucket seat portion of 40/20/40 split bench seats. We sent production quality samples to one of the leading automotive testing facilities, headquartered in Michigan, USA. 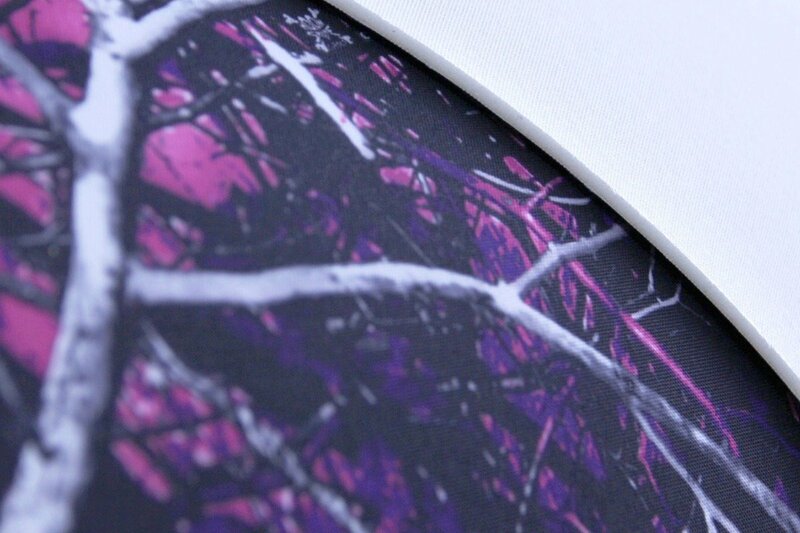 After a successful test run, we electronically digitized the design into our system to ensure precision and quality. Note: Correctly identify the driver and passenger backrest cover by referencing the identification sewn into the bottom of the cover. The driver backrest has the opening on the left hand side. The passenger backrest features the opening on the right hand side. **Read and follow the installation instructions before installing. 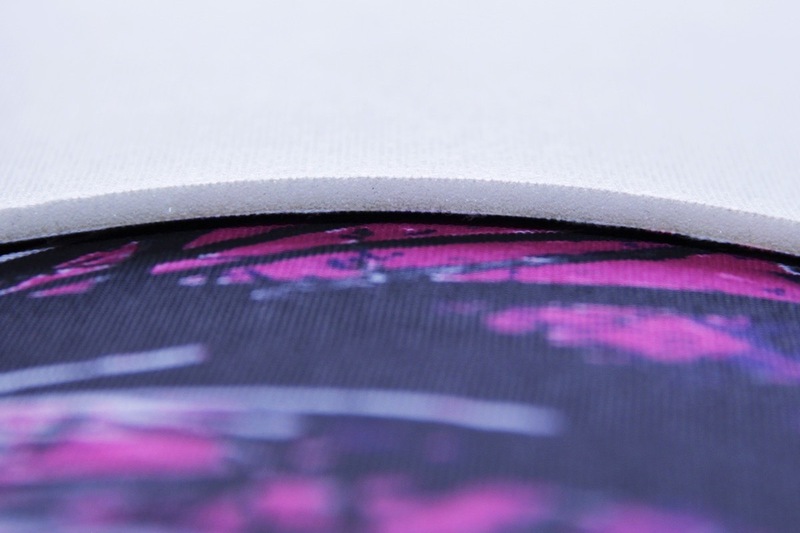 The top surface fabric is a comfortable yet durable 600 Denier polyester. This is the same quality of material that’s been tested and used for premium outerwear by some of the best known brands around the world. The fabric features 2 waterproof coatings (DWR top-coat, a PU under-coat) and is laminated to 1/8” foam with a scrim back for extra comfort. 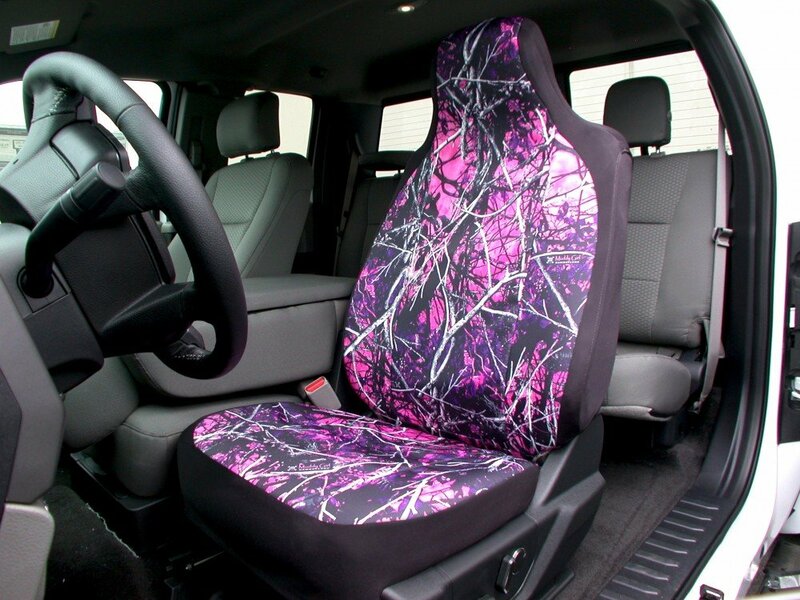 The accent fabric is a specially developed polyester piqué that features a bi-directional stretch, enabling the fabric to snugly contour the form of your seat. 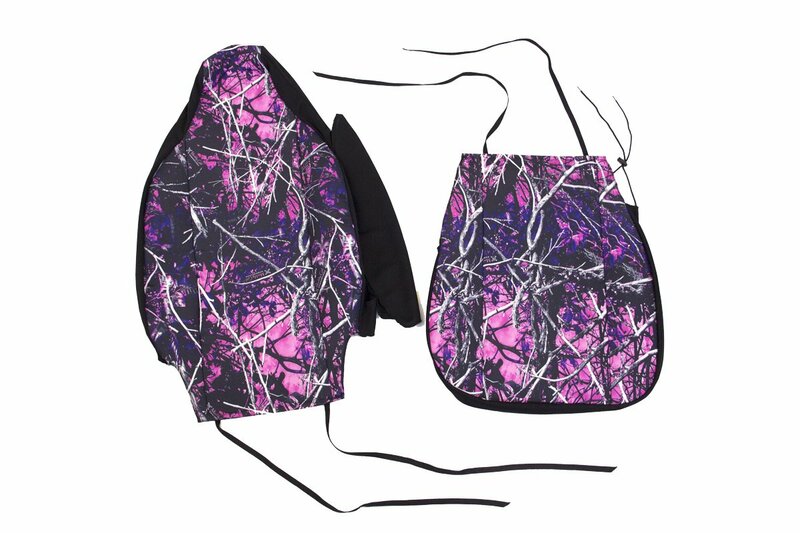 After hundreds of hours of development and the use of superior durable fabrics, we hope you enjoy the benefits of our Best-in-Class seat protector. 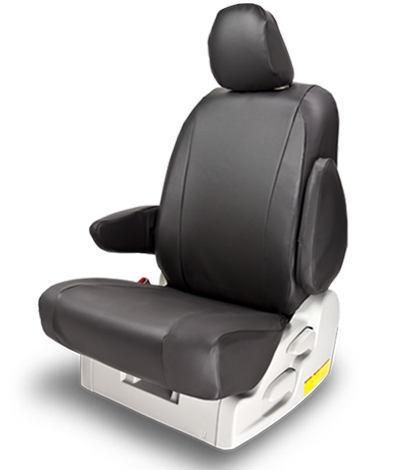 Our Universal Form-Fit™ really are designed to be the best seat saver in the semi-custom fit category.